I’ve heard of PostRank a long time ago and I’ve been using it since to track the influence of certain websites in the social web. PostRank makes awesome rang lists for almost any topic you can think of, ranking websites by their social influence. Have a look at the E-Commerce topic to see what I’m talking about. Recently, PostRank launched their PostRank Connect service, which came with a free PostRank Analytics account. I’ve been looking into PostRank Analytics for some time now so I grabbed the opportunity to have a free account at my disposal. Needless to say, this made my day. PostRank Analytics is a service that tracks user engagement with your website, both on and off site. This includes all sorts of social networks, bookmarking and sharing websites, comments and responses. I might sound lame with this one, but, web has seriously evolved in the past few years. Most of the stuff that goes on around your website is no longer located on your website. It has become extremely hard to keep track of everything that’s happening everywhere on the web. PostRank Analytics makes it easy for you. Now that I tested it, I can say without doubt that this Analytics service is a must have for web content publishers, and likely for other kinds of websites as well. Google Analytics just isn’t able to track everything anymore. It doesn’t give me any data on some really important stats which I, as an internet marketer, simply have to track. Track up to 5 websites on a single account. No installation required, just add URL, verify and you’re on! 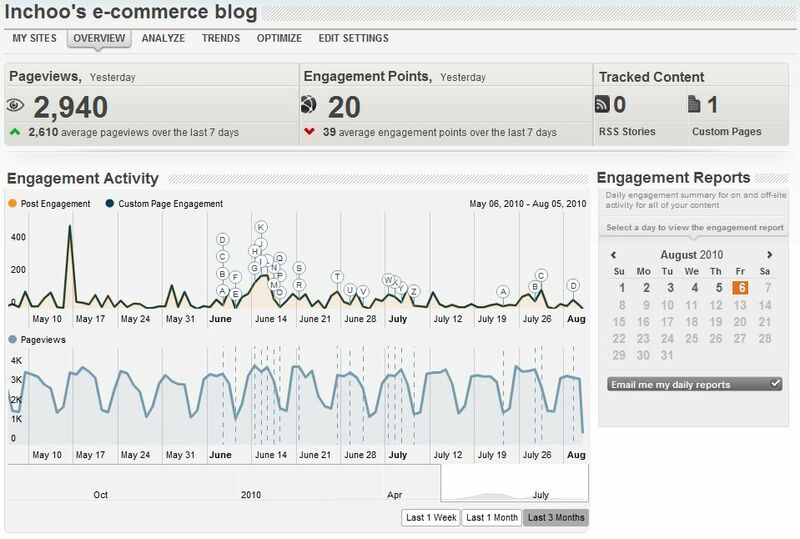 Extremely clear overview of social engagement with graphs showing you date, amount of engagement, and RSS items that were created on that day. Even more in depth reports can be viewed on daily or per RSS item bases. You can even set-up custom pages that are not part of your RSS feed to be tracked, such as landing pages or static content by simply adding an URL. PostRank Analytics shows you the list of people that are sharing your content the most for every social network individually in the last three months. You can easily see which users are bringing you the most benefit. 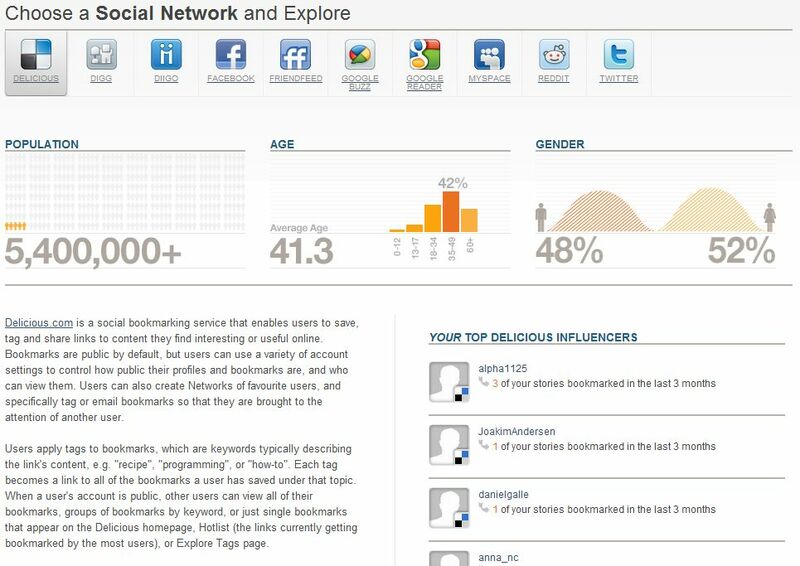 It also has awesome demographic stats of these social networks displayed right above this data. Give it a try, I find this service extremely useful. It’s not a usual over-hyped social media tool. This is the true Analytics of today. If used together with Google Analytics, this is the real deal. Interesting. I like your post. Thanks for a very informative post. This is something new to me. I cant believe that there are something higher than google analytics of analyzing a website. At one point we did have a professional copywriter go trough these blog posts, but they prove to be extremely hard to edit for a non-technical person due to a lot of niche specific words used in them. Toni, interesting article but you guys really should get someone to proofread the content of the blogs. The lacks of definite articles makes it look less professional than you are. IMHO.